The Royal Reserve Vintage of the Maison Philipponnat is made from a blend of 65% Pinot Noir, 30% Chardonnay and 5% Pinot Meunier. All these grape varieties come from vines located in the Grand Cru of Ay and the Premier Cru Mareuil sur Ay. As every year, the cuvée Royale Réserve contains between 25 and 40% reserve wine in order to obtain the taste and style of the Philipponnat House. Finally, just like its big sister, the Royal Reserve, the Royal Reserve undosed has spent 3 years in the cellar in order to mature quietly. 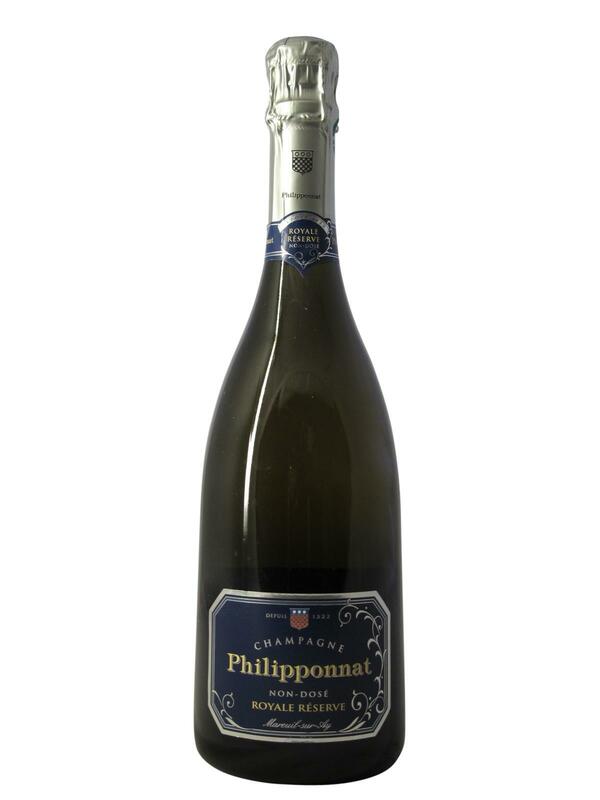 The Champagne Philipponnat Royale Réserve not dosed, because of its total absence of dosage, reveals the "true taste" of Philipponnat, its righteousness, its vivacity, as well as its floral and fruity notes. This cuvée is dressed in a pale colour with golden reflections, and sublimated by a thick cord of fine bubbles. On the nose, the Royal Reserve undosed shows its great freshness and its lightness. It is an elegant nose, with spring notes of white flowers. On the palate, this champagne is pure, lively and always airy. Its complex mouth opens with aromas of ripe citrus fruit accompanied by notes of viennoiseries and brioches.